The students admitted to the varied courses in the academic year 2013-18 also hail from other states (Kerala, Bihar, Manipur, Assam and Meghalaya). Provide knowledge in resource management and interior design for effective family living. Introduce concepts on technological intervention to relieve drudgery and create safe environment. Conduct need based research on emerging thrust areas related to resource management. Mobilize action programs towards enhancing the quality of living. 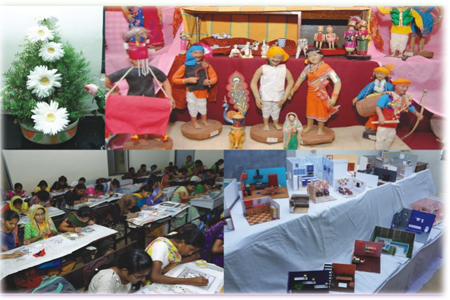 Inculcate among students the treasured values of Indian Culture. Preparing the students for an enriched college life, setting goals and career plans. Training on CAD/CAM/CAE software at subsidized cost. Exposing the students to latest technologies in the design field. Enhancing the employability level of the students. Special lecture on " Basic concepts of Electricity"
" Designing Modern Interiors Using 3D Max "
Mr. Karthik NX CADD Solutions, Coimbatore. Ms. Suganya, Technical leader , Dream Zone. 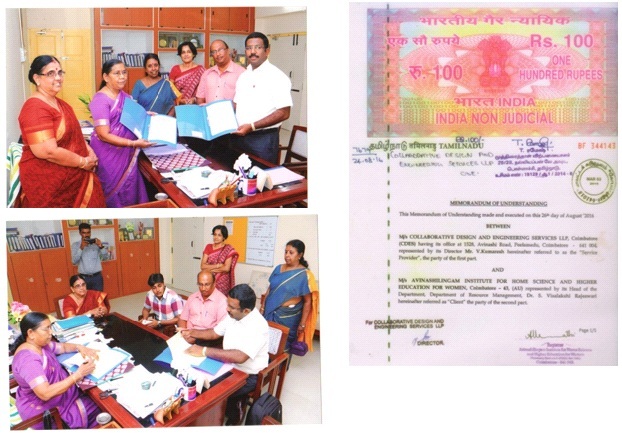 Coimbatore. Dr. Archana Bhatnagar , Professor SNDT University, Mumbai. Mrs. Rajeshwari, Craft Teacher, Cbe. Entrepreneurship Awareness Programme (EAC) Sponsored by Ministry of Science and Technology, NSTEDB, Govt of India, New Delhi. Mr. Karthick, Trainings CADD Solutions. Research has been an integral component at the masters, M.Phil and Ph.D. programmes as curricular requirement. Research has main focus on the following need based areas. International Conference, Arunai Engineering College, Thiruvananamalai. XXXVI National Nutrition Week celebrations organized by Dept. of Nutrition and Nutrition Society of India.